D.L. 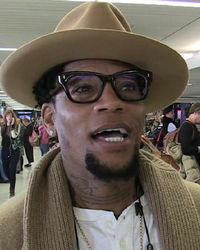 Hughley is an actor, comedian, and television and radio personality. He was born on March 6, 1963 in Los Angeles. 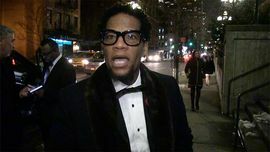 Hughley married wife LaDonna in 1986. He was a telephone sales rep at the time making very little money. When she was pregnant with their second child, there was barely any food left in the house, so he began performing at comedy clubs for extra money. In 1998, he landed the sitcom “The Hughleys,” which aired for four seasons. The popularity of the show earned him a spot on the Kings of Comedy tour with Steve Harvey, Cedric the Entertainer, and Bernie Mac. 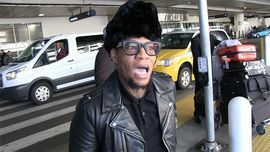 Spike Lee turned this into a docu-film titled “The Original Kings of Comedy.” Hughley has also starred in comedy specials, talk shows, and radio shows. He competed on Season 16 of “Dancing With the Stars” with pro partner Cheryl Burke. 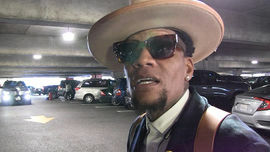 He is the New York Times best selling author of “Black Man, White House: An Oral History of the Obama Years.” Hughley has openly admitted he has not always been faithful to his wife. The couple has three children, daughters Ryan and Tyler and son Kyle who has Asperger’s syndrome. Warns Michael B. Jordan ... Roy Jones Would 'Beat the Sh*t' Outta You!